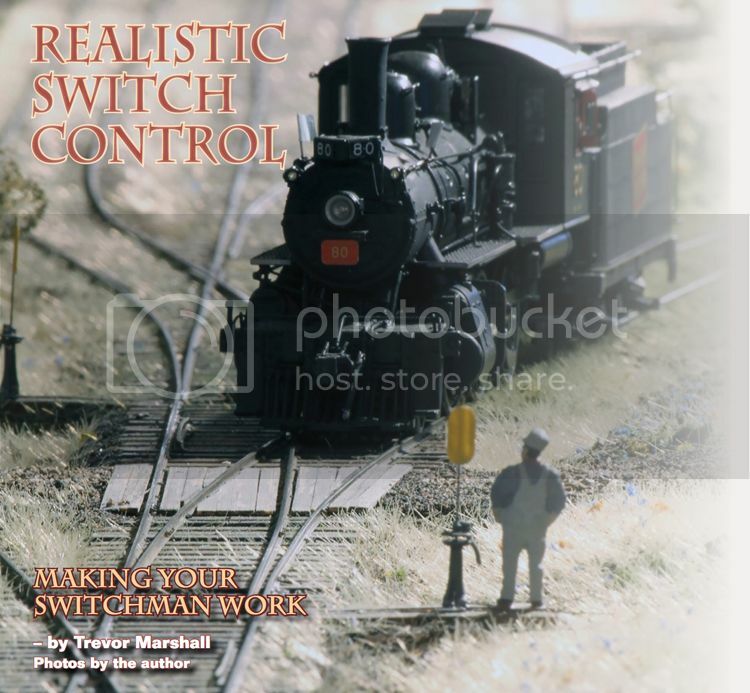 The August 2014 issue of Model Railroad Hobbyist is now available online, and it includes an article on how I use garden scale switch stands to control the turnouts on the Port Rowan layout. It was great working with Joe Fugate at MRH. I’m looking forward to sharing more articles with his readers. This entry was posted in track work, turnout control by Trevor. Bookmark the permalink. A well written article, as expected. I am curious to know if the unneeded parts returned Fast Tracks were sent back to the packaging line to be used in someone else’s kit. Since the parts returned to Tim were ball bearings, springs and electrical switches – all unused by me, so in “new” condition – I certainly hope they were returned to the packaging line. That was my intent – I did not want to simply throw away perfectly good product! Thanks for the kind words about the article. I enjoyed writing it. I love these switch controls! I was just imaging this morning how I would ideally control switches on my as-yet-unstarted model railroad, and your idea is just about perfect in my eyes! It gives you a real experience in actuating the switch….exactly what I am looking for. When I was a toddler, maybe 3-4 years old, I could not wait to walk the tracks with my dad, and switch tracks were just plain magical. They still are for me! Thanks again for sharing your great idea(s)! As an update, these continue to work well – as good as when new – and continue to be one of the most popular items on my layout with visiting operators.